The starter home. It was so cute and quaint and sweet when you bought it, right? But, that was before kids and dogs and overnight quests and holiday dinners that require mathematician-level logistics to finding everyone a seat in a dining room that bursts at six people. Let's face it: It's probably time to move up. Lack of space is the No. 1 reason people start looking for a larger home. Families expand, lifestyles change, and the sheer accumulation of stuff can make a small home feel even tighter. 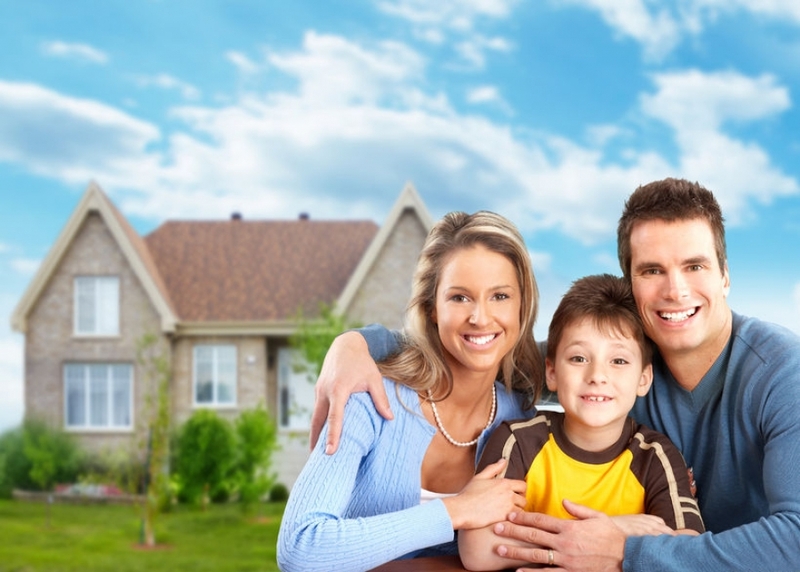 "More than a third of all homebuyers last year were families with kids," said Dave Ramsey. "And 37% of sellers age 36 and under cited cramped quarters as their reason for moving." But running out of room not the only reason to consider moving up. You may have had to scrimp and save for the down payment on your first home, but, if your home has appreciated, you may be in a completely different financial position this time around. If you're the type who envisions paying off your home and being free and clear, moving up may not be on your mind. But, for the rest of us, having equity in our current home means greater buying power to buy something bigger or get into a neighborhood we covet. Feeling cramped and living in clutter and hating that you don't have a space of your own or even a minute to yourself? That can create stress and leave you feeling anxious and overwhelmed. And, it goes against the general principle of homeownership since your home is supposed to be your sanctuary! Having some extra room to spread out and yard for the kids and dogs to play in can make a real difference in the way your family functions. Ask yourself if "your quality of life is suffering," said Unpakt. "This category can include many things: your ever-growing pack of dogs or cats who are driving you crazy. Your cascading piles of fabrics that you use for quilting, but just can't keep organized in your current space. The lack of a guest room means that when family visits, you're stuck on the couch. Whatever it might be, if your quality of life has taken a nosedive because your house is too small, well, the answer is pretty clear." One of the reasons you may want to start looking at a new house is because your neighborhood is starting to evolve. Maybe there are new restaurants and bars that have attracted a different crowd or plans for a huge mixed-use project that, while great for the economic potential in the area, could mean more traffic than you want in your quiet little town. Even something like a change in the flight patterns from the local airport can get you thinking about that next home. A good real estate agent should be able to give you an idea of what necessary (or wanted) renovations would cost to your existing home. It could be that the amount of work you would need to do on your home to get it where you want it - or get it into tip-top shape for a sale - is beyond what you want to spend. In that case, it might make better financial sense to make small improvements, put it up for sale, and put your money into a new home that better suits your needs. The other important factor to consider when deciding whether to move or improve your home is how the redone home would sit in your neighborhood. You don't want to run the risk of doing a bunch of expensive renovations only to have the home sit on the market because it's overdone and considered overpriced. "Weighing against renovation is the risk you'll ‘over-improve' your home compared with others on the block," said Bankrate. "When you are in a neighborhood that has starter homes and smaller homes, adding a large addition or doing an extensive renovation may not yield the return one would expect." So, your kids were young and bicycles and basketball nets lined the street when you first fell in love with your home. At the time, it was everything you were looking for. But now, so many of those families have moved on, and the lively street you loved has turned rather sleepy. If you're still holding on to the memories of what your neighborhood once was, maybe it's time to find one that better meets your lifestyle needs today. Presumably, a move-up home is going to be more expensive. Beyond the equity you can use to make the purchase doable, you have to consider the monthly expenses, too. "It's not just the sticker price on the house; it's the long-term costs associated with it," said Realtor.com. "When you go up (in square footage), you get higher property taxes, higher utilities, and more maintenance." And acquiring more rooms means shelling out for more furniture, too. You can make sure you can afford a move-up home without becoming "house poor" by "using online affordability calculators to figure out how far you can stretch your dollar.